We evaluated in this study the effects of regular use of maintenance intravenous (IV) iron saccharate on the hematological parameters, iron stores, and erythropoietin (EPO) requirement in a group of stable hemodialysis (HD) patients. We maintained 34 stable HD patients (14 (41.2%) males) with a mean age of 43.1 ±16 years (range 17-69) and mean duration of HD of 39.3 ± 34.5 months on EPO. We also added 50-100 mg IV iron saccharate every week during a 6-month period from May-October, 1999. At entry, 18 (47.1%) patients required loading doses of IV iron saccharate. We compared the results at entry with those at six months. The mean hemoglobin increased significantly from 97 ± 10 to 117 ± 20 g/l, (p<0.0001), serum ferritin increased significantly from a mean of 160 ± 224 to 377 ± 216 ng/ml, (p<0.0001), transferrin saturation increased from 21 ±1.9 to 28 ± 8 %, (p= .0002), EPO dose decreased significantly from a mean weekly dose of 8800 ± 3200 to 5500 ± 3000 units (p=0.002). The cost saving analysis suggested an annual savings of 6448 Saudi Riyals (1719 US $) per patient attributable to reduction in the administered EPO dose. We conclude that IV iron saccharate use to replenish and maintain iron stores in stable EPO treated HD patients is safe and effective. It results in achieving target hemoglobin with significantly lower doses of EPO. Elevated plasma lipoprotein (LPa) level in chronic renal failure patients is recognized as an independent risk factor for premature atherosclerotic coronary heart disease. In this cross­sectional study we aimed to study the effect of serum plasma LPa levels on early structural atherosclerotic vascular changes in chronic renal failure (CRF) predialysis and hemodialysis (HD) populations. We evaluated the carotid intima-media thickness and carotid-femoral artery for plaque occurrence (plaque score) by B-mode ultrasonography in 29 (17F, 12M) normal subjects (group one), 33 (19F, 14M) CRF predialysis patients (group 2) and 43 (19F, 24M) HD patients (group 3). The Mean LPa in group 1,2 and 3 were 42.0 ± 20.0, 57.0 ± 23.0 and 55.0 ± 16.0 mg/dl, respectively (p=0.016). The Intimae- media thickness (IMT) of group 1, 2 and 3 was 0.84 ± 0.20 1.30 ± 0.40 and 1.10 ± 0.30 mm, respectively (p<0.001). Plaque scores between 1 and 2 were found in 6.8% of the subjects in group 1, 24.3% in group 2 and 25.6% in group 3 (p<0.001). Furthermore, plaque scores of 3 and 4 were found in no subjects in group 1, 36.4% in group 2 and 23.3% in group 3. In conclusion; the present study showed positive relationship of LPa with IMT and arterial plaque in HD patients but not the CRF patients. However, accelerated atherosclerosis is frequently seen in these patients and larger clinical studies of this problem are needed. The administration of an anticoagulant is essential to prevent clotting of blood in the extra corporeal circuit during a hemodialysis (HD) session. Unfractionated heparin (UFH) has been used for this purpose over many decades with satisfactory results. However, UFH has many unwanted side effects such as risk of bleeding, thrombocytopenia, paradoxical thrombosis as well as disturbances of blood lipids. Over the last few years, low molecular weight heparin (LMWH.) has been introduced in medical practice. We performed this prospective study at the Jeddah Kidney Center, Jeddah, Saudi Arabia to evaluate the efficacy of LMWH. We compared the changes in lipid profile during the period of administration of LMWH with the changes observed during the administration of UFH. A total of 30 patients were involved in this prospective study. During the first part of the study, which was carried out for 12 weeks, all the study patients received UFH as anticoagulant during the HD sessions. During the second part of the study, which was conducted over the subsequent 12 weeks, the same patients were given LMWH as anticoagulant during the HD sessions. During the HD sessions using Tinzaparin, no significant problems were observed and HD was performed efficiently. The total cholesterol level was reduced during the administration of LMWH while the triglyceride levels showed a rise during this period. Our study suggests that LMWH is a safe and effective substitute for UFH for anticoagulation during HD sessions. Studies on larger cohorts and for longer periods of time are required to validate our observation. The evaluation of the complications of uretero-neocystostomy is very scant in the literature. 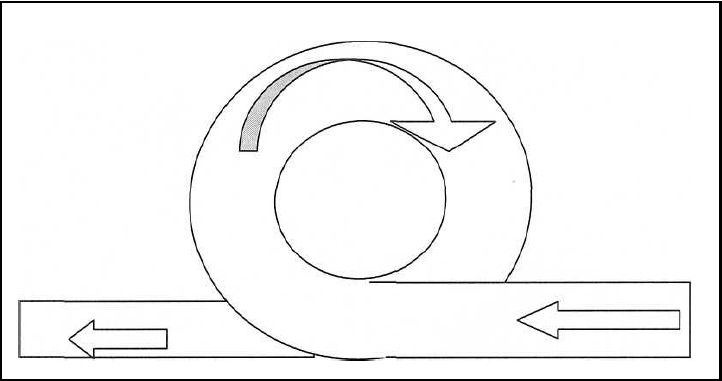 The objectives of this study were to determine the indications for uretero­neocystostomy and to evaluate the complications of different techniques. This retrospective descriptive study was conducted in the Gezira Hospital for Renal Diseases and Surgery, Sudan between January 2001 and January 2004. A total of 65 patients were enrolled in this study. All of them underwent reimplantation of either one or both ureters for various indications. The methods of reimplantation were direct, Lich Gregoire, Cohen, Boari's and ileum substitution. The mean follow-up period was18 months. The 65 patients underwent a total of 77 reimplanted ureters. Of them, 39 ureters were gynecological ureters, 21 were renal transplant and 17 others had miscellaneous indications. The direct method was used for 25 transplanted cases (27.5%), Lich Gergoire for 40 patients (51.9%), Cohen for eight patients (10.4%) and Boari's for seven (9.0%). 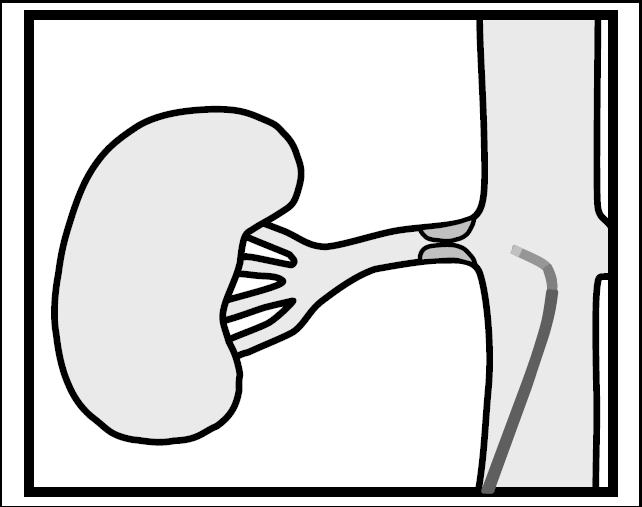 Leakage and lower urinary tract symptoms (LUTS) were diagnosed in four patients each (4.8%), two had hydronephrosis while one each had obstruction and necrosis. Our study indicates that gynecological ureter was the leading indication for ureteral reimplantation and the incidence of complications was comparable to the literature. After years of hemodialysis we happen to be dealing with the unusable veins and requiring a vascular access. Two solutions can be proposed: the arterioarterial graft interposition or the superficial repositioning of the superficial femoral vein (SFV). We carry out 350 to 400 hemodialysis vascular accesses per year. Only 16 exceptional accesses have been realised. 7 patients have had superficial transposition of SFV. Complications observed: 1 low debit by obliteration of femoral artery treated by femoral bypass and 3 cases of thromboses (1,4 and 5 years). They either had a simple thrombectomy or one with prosthesis interposition. 9 patients had arterioarterial graft (3 brachial arteries and 6 Subclavian arteries); postoperative complications consisted of necroses skin and prosthesis infection, two precocious two thromboses of the graft (6 and 10 days) they made the subject of a thrombectomy and bleeding in the 5 th month, which required a suture. Patients had hemodialysis for 5 to 132 months. The middle length of permeability of the access was of 57 months for the superficialization of the SFV and 18 months for the arterioarterial graft. The exceptional accesses are an alternative for patients that do not have the possibility of a conventional vascular access. To determine the incidence and management of urological complications after live­donor renal transplantations at our center, we studied the medical records of 122 patients who underwent live kidney transplantation with a stented Lich-Gregoire anastomosis for ureteric reimplantation. The overall incidence of urological complications was 7.3 %. The early complications included four cases of ureteric stenosis, two cases of urinary leaks (one vesical fistula and one ureterovesical fistula) and one case of lymphocele causing ureteric obstruction. On the other hand, the late complications (> 6 months after surgery) included two cases of vesicoureteral reflux. No graft was lost and there was no urinary complication-related mortality. There was no association with recipient age, related or non-related donor, or cold ischemic time. The urinary complications were mostly caused by ureteral ischemia and extrinsic compression by lymphocele; the stent caused vesicular fistula in one patient and clot anuria caused ureteral obstruction in another. In conclusion, the Lich-Gregoire technique has low complication rate and technical ease to perform compared with Barry's extravesical technique. Renal Artery stenosis caused by atherosclerosis is a common disorder in the elderly. The disease is progressive and might lead to renovascular hypertension and end­stage renal disease. The atheromatous renal artery is accessible for angioplasty and stenting. Developments in mini invasive equipment have resulted in improved technical success equaling that of surgical revascularization. The role of angioplasty in treating renovascular hypertension is well established. 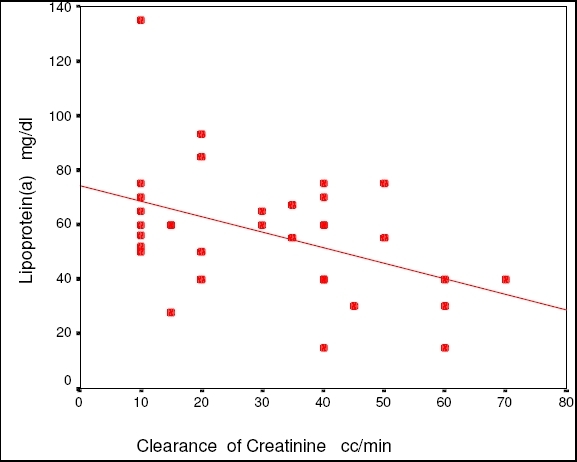 The chemically induced renal functional impairment is potentially reversible by revascularization that renders the ischemic nephropathy increasingly recognized as a treatable disease. However, there exists a disparity between technical success and clinical benefits that need to be addressed. In this report, we present two cases of familial tuberous sclerosis co-existing with the Fanconi Syndrome. Both cases presented with history of failure to thrive and mental retardation associated with hypokalemic metabolic acidosis. To our knowledge, the association between tuberous sclerosis and the Fanconi Syndrome has not been reported previously. The incidence of mycobacterial infection (TB) is significantly higher in patients with end-stage renal disease and renal transplant recipients than in normal individuals. Tracheoesophageal fistulas (TEF) resulting from Mycobacterium tuberculosis infection are uncommon. We describe a 44-year old renal transplant recipient with such a lesion that had typical clinical presentation and radiological appearance of TEF and was successfully treated conservatively. In the developing world, the prevalence of Hepatitis C Virus (HCV) infection in the hemodialysis (HD) units is high. Poor adherence to infection control measures is considered the main predisposing factor. In Tripoli's HD units, the prevalence of HCV is high although isolation of HCV positive patients is routinely practiced. In this short questionnaire study, the degree of adherence of our HD nurses, to the infection control measures was examined. The study was conducted in May 2004; sixty responses were collected from nurses working in the three main HD units in Tripoli. When compared with nurses working in other HD units with low HCV infection prevalence, it was found that our nurses' adherence to the standard infection control measures was poorer (p<0.001). The other significant problems found were irregular supply of some of the essentials needed for HD, and understaffing of the units (p = 0.000l). HD is a financially expensive way of treatment, especially in the developing world. HCV infection adds to its costs as well as to the patients' suffering. We need to pay more attention to the application of the simple infection control measures in our dialysis units.